Ok, so you’ve read all about the benefits of barefoot running, the debates in running magazines, the Tarahumara (who generally run in sandals, not barefoot) and Barefoot Ted. In your mind there’s a vision of yourself running barefoot for miles across the countryside. But in reality outside awaits a world of concrete, ice, blistering hot pavement, angular gravel, thorns, glass and many other hazards to your feet. So, just how does an outdoor athlete go about shucking his shoes? Dr. Phil Maffetone, health and fitness expert and author of “In Fitness and In Health” and “The Big Book of Endurance Training and Racing,” advocated barefoot exercise long before the current hype. Best known as the fitness coach for six-time Hawaii Ironman Triathlon Champ Mark Allen and ultramarathon record-holder Stu Mittleman, Maffetone also pointed out years ago that scientific studies showed alarming injury rates among runners wearing the most expensive shoes. A good place for many aspiring shoeless athletes to start, he says, might be with barefoot therapy. “Even a short amount of barefoot time initially can bring tremendous benefits in correcting and preventing foot and ankle problems. These types of problems also can cause chronic knee, hip or back problems,” says Maffetone. “Just 10 to 15 minutes a day can help balance and strengthen foot and leg muscles, allowing the whole body to better balance on its own natural support systems. Maffetone suggests starting by spending more time barefoot indoors for a few days both at home and at work. Once you’re comfortable with that, venture outdoors, on a safe surface such as grass, sand or the sandy edge of a dirt road. 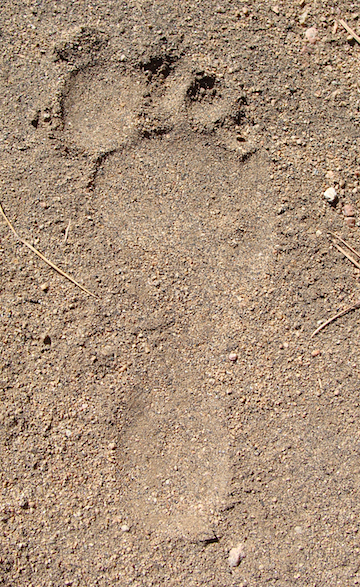 Slowly work up to being barefoot much more of the time on your feet. Your barefoot time can be done separately as therapy, or as part of your workout as a warm-up or cool-down, though doing so after your workout may have more benefits in resetting your feet’s sensory system after spending time in shoes. Most of us have been wearing oversupported fitness shoes for many years. Although the foot can quickly adapt to barefoot walking — and even running — muscles, tendons and ligaments in the feet, ankles, calves — and even other areas we may not consider like our jaws — may take some time to rehab. But not as long as you may think. Over time many athletes who have access to safe barefoot environments may be able to build up to doing entire workouts without shoes. However, for many, shoes will remain an integral part of workout life. That’s why Maffetone says it’s important to find the right shoes, those without too much support, cushioning and other gimmicks. If you are looking for a meaningful gift to give someone this holiday season, consider the book “In Fitness and In Health” by Dr. Phil Maffetone. You just may be giving someone the gift of health! This book details the diet, nutrition, exercise and lifestyle strategies that I’ve used to stay healthy and fit, and to compete at pack-burro racing, for many years. But it’s not just for athletes — the principles can be used by anyone who wishes to improve health and fitness. If you order this Monday or Tuesday there’s a 20% discount — you get the book for $14.39 (the regular price is $17.99). It’s an inexpensive gift for friends and family. Many of you know that I have worked with Phil as his editor since 1998, and have been the editor of this book for three editions, now. We worked on two printings of the 3rd edition starting in the late 90s. And there was a major overhaul of the book for the 4th edition in 2002. However, this new 5th edition, which I edited and designed earlier this year, is more complete and more interesting than all the others. It contains updated information, and some totally new material about organic foods, sunshine, gut health, and more. It tells how to optimize the diet for physical and mental performance, and how to make healthy dietary choices to prevent disease. This book could change somebody’s life, or even save somebody’s life. What better holiday gift could there be? It’s been known that ibuprofen and other non-steroidal anti-inflammatory drugs may delay healing and come with other side effects. Now a study of runners at the Western States 100 indicates taking ibuprofen during the event significantly increased inflammation, adversely affected the immune system, impaired kidney function and caused bacteria to leak from the colon into the bloodstream. Nice, huh? Seventy percent of entrants used ibuprofen during the race. This only adds to the list of reasons I very rarely use NSAIDs of any type. Instead I consume a variety of anti-inflammatory foods that include EPA fish oil, ginger, turmeric, raw sesame seeds and oil, citrus peel, onions and garlic. In addition, I limit or avoid foods that cause inflammation. These include vegetable oils, refined carbohydrate foods like bread and pasta and foods that contain sugar, and hydrogenated oils (trans fats). Other lifestyle factors that contribute to inflammation include overexercising and too much anaerobic activity such as weight-lifting, and exposure to certain environmental toxins. 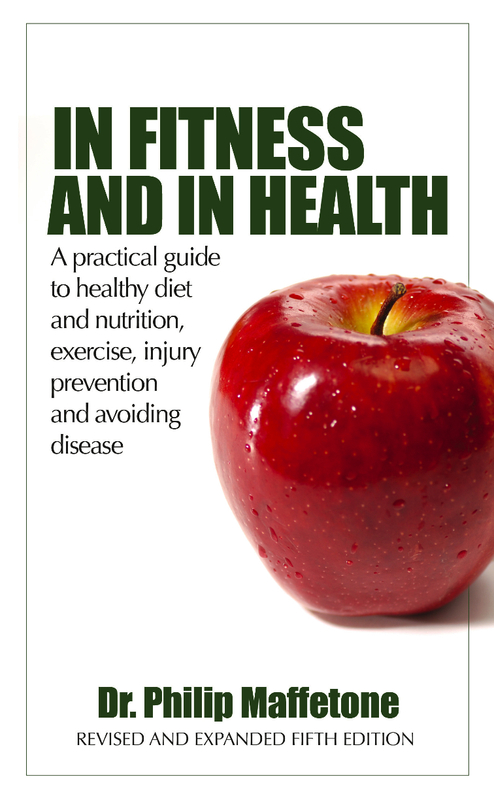 Many friends and readers of Hardscrabble TImes know I spent the first few weeks after being turned loose from The Pueblo Chieftain in February editing the 5th edition of Phil Maffetone’s “In Fitness and in Health.” The book was released last week and is now available from amazon.com. The book sports a new cover design by Chieftain graphic artist Cheri Zanotelli, and contains new chapters and information not in previous editions. In conjunction with the book’s release Phil and I are collaborating on a new blog that has news about the book as well as health and fitness tips, healthful recipes — including Phil’s Bars and wheat-free waffles — and other information. In addition, Phil has some great information and music on his own website, www.philmaffetone.com. I have been working with Dr. Phil Maffetone on a fifth edition of his book, “In Fitness and In Health.” I’ve edited much of Phil’s material over the past decade and this is the third edition of this book I’ve edited. If all goes well, the book will be available on amazon.com in a few weeks. When we’re done it will be about 300 pages of the best researched and practiced advise for diet and nutrition as well as exercise, lifestyle and disease prevention. Editing “In Fitness and In Health” again has served to remind of how I try to eat. Of course, everyone is individual and even I am constantly adjusting, but this is the basic plan that has worked for me over several years — you’ll notice I mostly eat real food. • Plenty of pure, clean water. • Vegetables, fruits, berries, 10 servings per day mostly from vegetables. I try to eat a variety, raw and cooked, and one raw salad daily. I buy organic as much as possible, but use the Environmental Working Group’s Report Card on Produce to help make decisions when quality organic produce is not available. • Organic/pasture-raised beef, pork, bison, lamb, chicken or wild game. • Raw almonds, cashews and walnuts, and nut butters made from these nuts, as well as whole flax and sesame seeds. • Extra-virgin olive oil for salads and low-temperature cooking. Organic butter, organic lard, coconut oil for cooking. • Fully cultured organic cheeses and yogurts, whole heavy cream. • Wild-caught fish (limit to two servings per month). • Small amounts of legumes, and some whole grains, though I avoid wheat as much as possible. • Extras — within reason, dark chocolate, red wine, organic coffee and tea, honey and agave nectar for a sweetener. • Foods that contain high amounts of cane sugar, or any amounts of high-fructose corn syrup and other highly processed sugars such as maltose, maltodextrin, etc., and fake sweeteners. • Trans fats (hydrogenated oils — read the ingredients label). • High-polyunsaturated vegetable oils (corn, soybean, safflower, sunflower, etc.) and packaged foods containing these vegetable oils. • Foods containing wheat flour (bread, rolls, bagels, cereal, pasta, tortillas, cookies, crackers, chips, etc.). • Highly processed soy products (read labels and look for soy protein isolate, soy protein casienate, etc. — see www.truthinlabeling.org). As reported in the Denver Post, commercial printer National Hirschfeld closed its doors this week, laying off 250 employees. The company had been in business for more than a century — since 1907 — and handled accounts that included the Denver Broncos and the National Western Stock Show. Apparently customers like that weren’t enough to keep the company open in today’s economy. The printing plant’s closing grabbed my attention not only because I just lost my job in the newspaper business, but also because I’ve done a fair amount of business with National Hirschfeld over the last decade. My own book, “Pack Burro Stories,” was printed by C&M Press, which was merged into the National Hirschfeld company in 2005. In addition, for about 10 years I published books by Phil Maffetone, including “In Fitness and In Health” and his series of ABCs health booklets through the company, and also printed the first edition of Phil’s newsletter, The Maffetone Report, on its press. I have seen the sign of the times, and it’s on the Internet. I suppose this all bodes well for trees.